Software developers have long used Agile methodologies such as Scrum and Kanban to plan their larger projects. Often planned on whiteboards, these methodologies allow teams to track progress and keep everyone focused on the end goal. Scrum starts with a wish list, with each item on that list used to plan work sprints, in which a focused set of tasks are completed in a short timeframe. A Kanban Board has multiple columns toward project completion, the first column will be labeled “Unstarted” and the final column “Done”. 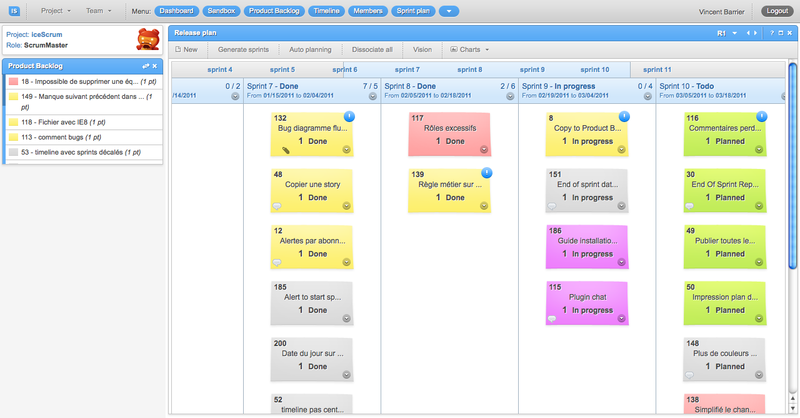 But you don’t have to be a software developer to use Scrum Boards. In fact, teams across all skill sets use these boards to plan large projects. 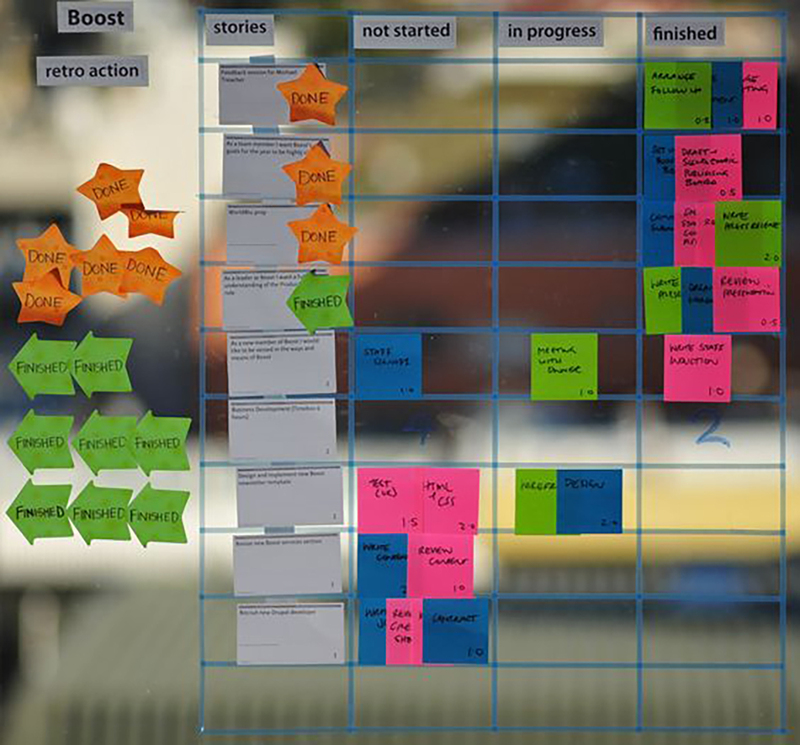 Here are a few examples of visually-appealing Scrum Boards, as well as information on what sets them apart. Delta used multi-colored sticky notes to plan its merger with Northwest. Each note represented a project that could have thousands of tasks associated with it. Orange was used for one type of task, while green and light blue were used for others. 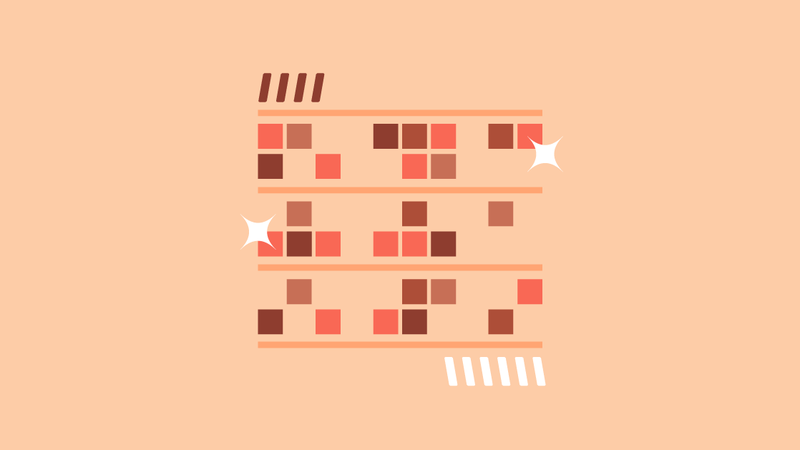 By separating them out by color, Delta was able to quickly locate tasks by project type. This board, which stays in the work area of the team performing the tasks, separates items using columns, delineated in yellow. Items are marked as “not started,” “in progress,” and “done,” with updates made on an ongoing basis, rather than during a scheduled meeting. 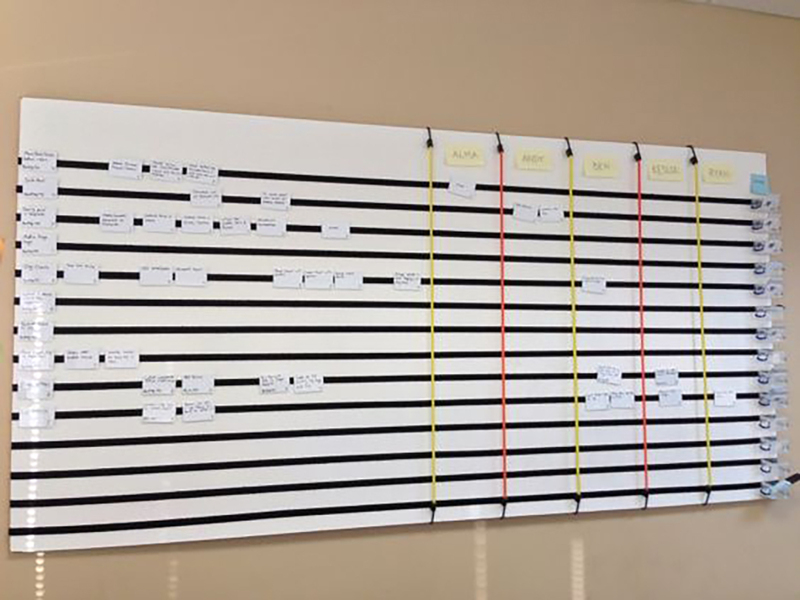 Drew London uses a Kanban Board, which is a slightly different approach, to manage its projects. 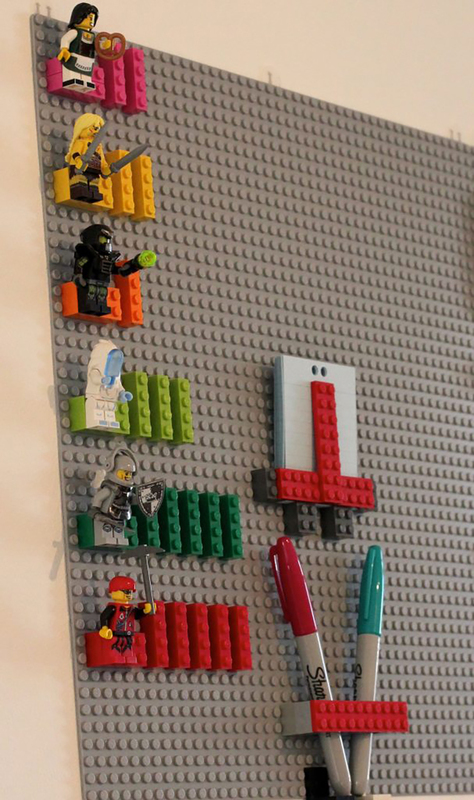 The team attaches index cards to Lego bricks, which are colored to match specific task types. 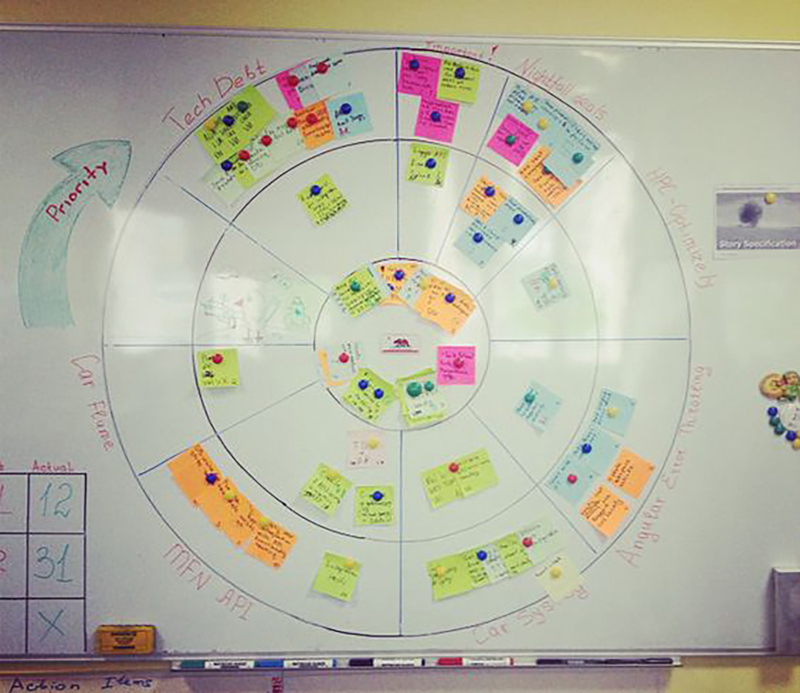 Scrum Boards aren’t just for teams. 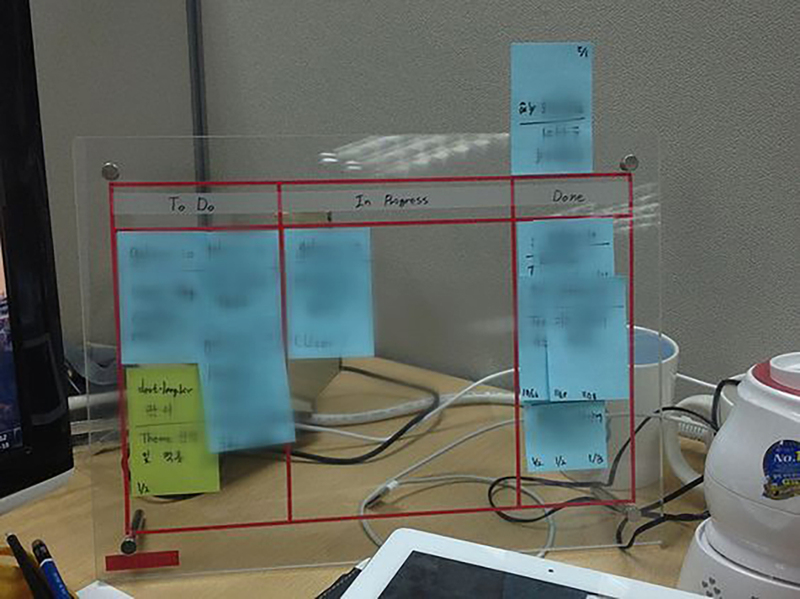 This Pinterest photo shows how a professional set up a personal Kanban Board using a mini dry-erase board and sticky notes. This desktop model makes it easy to see which tasks are not yet started, in progress, and complete. You can even use different colors to keep projects separate. A common option is combining Scrum with Kanban. 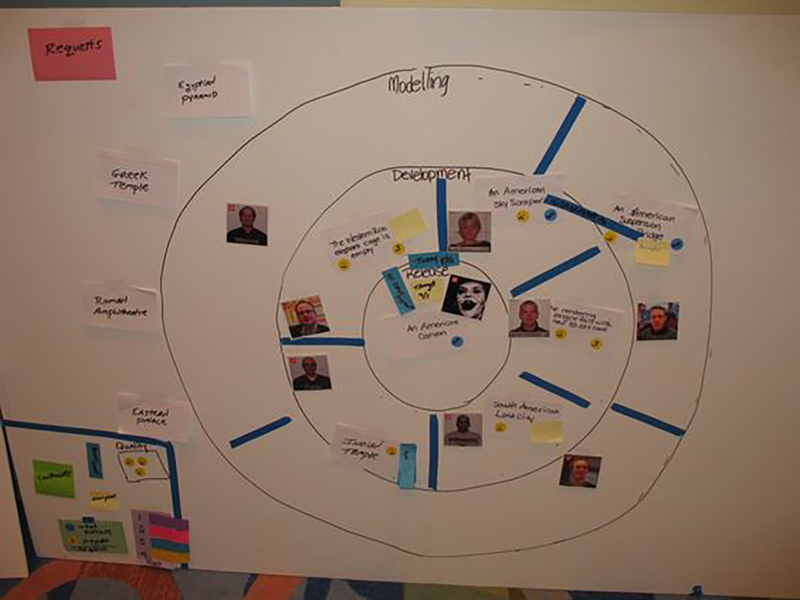 For a completely different approach, there is this Kanban Board in a wheel format. Tasks are divided into phases, including modeling, development, and release. This wheel on a whiteboard has items moving from the outside to the inner circle as they progress. The center of the wheel holds all the tasks that are now complete. Today’s teams often prefer virtual solutions, so naturally, there’s a wide selection of tools to help workers create electronic Scrum Boards. Professionals who choose this approach should ensure the board will be consistently visible in a way that keeps team members motivated, such as on the main page of the collaboration tool they use. 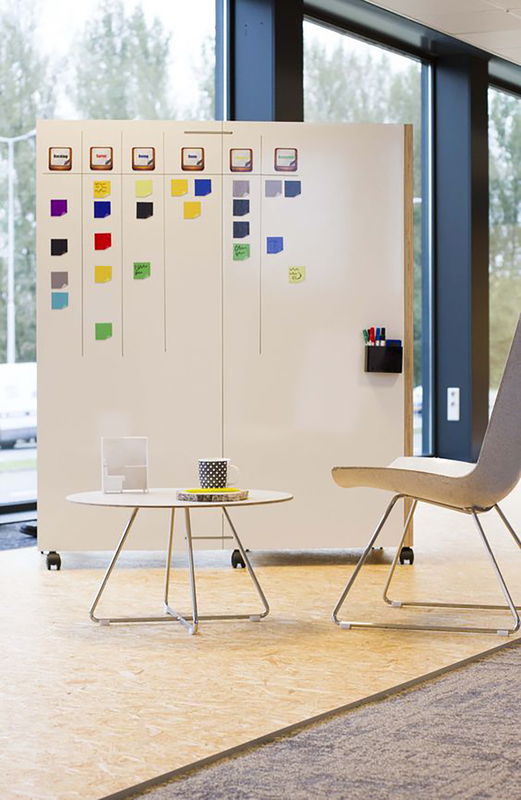 If you’re looking for a way to easily move tasks around without relying on sticky notes, this Velcro Scrum Board could be the key. 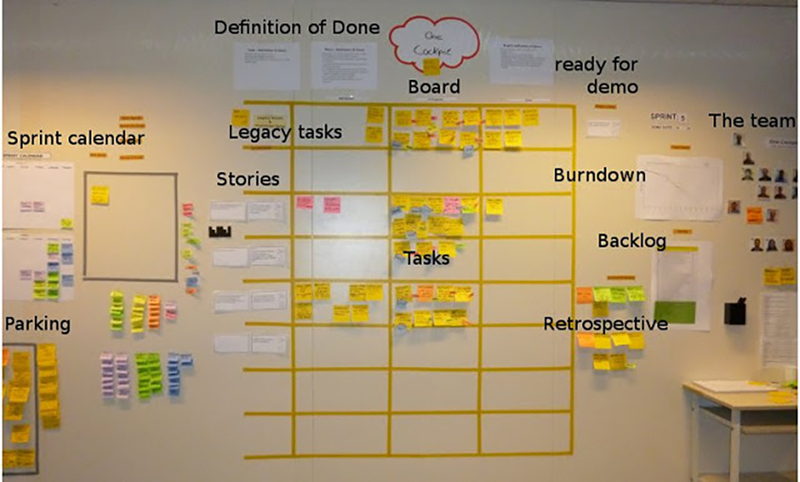 The goal of any Scrum Board is to keep teams on task and move projects forward. Feel free to make your board your own, customizing it to fit your own unique work culture. Don’t feel pressured to create the most unique board used anywhere. As long as it gets the job done, your Scrum Board can be labeled a success.